Celebrating a 50th birthday or 50th year anniversary? These latex balloons are perfect for that reminder. 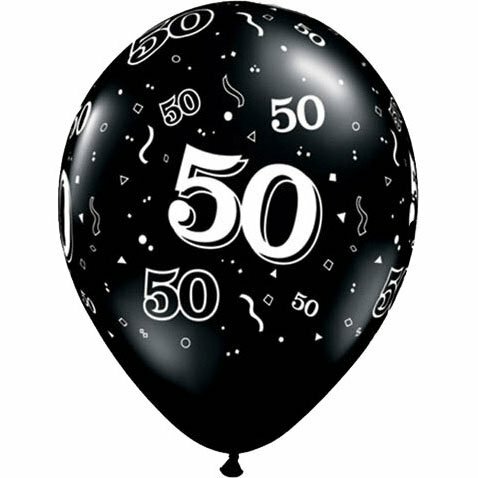 They are black but have "50" and confetti decorations to show it's wonderful to celebrate the occasion!